Published on 03. 12. 2016 in comics and cartooning, commentary and criticism, hype & linkage and pictorial arts. Closed Tags: Carl Barks, Fra Bartolommeo, Information, Michael Magnus Nybrandt, National Gallery Technical Bulletin, Simon Hanselman, Studi Tizianeschi, The National Gallery, Thomas Engelbrecht MIkkelsen, Titian. It seems increasingly meaningless these days, right? Yet, these are some of the things I’ve been up to over the last month or so. ITEM at Apollo Magazine online a few weeks ago, I wrote an appreciation of the great Harewood Titian drawing (above), which is currently under temporary export bar and risks leaving the UK for an overseas home if a matching offer isn’t met before 20 December. ITEM In the latest National Gallery Technical Bulletin (vol. 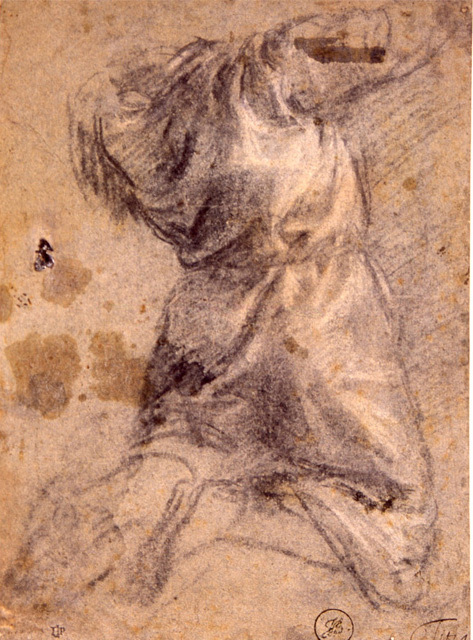 37), Chris Fischer, Rachel Billinge and I analyse new technical evidence concerning Fra Bartolommeo’s Virgin Adoring the Child with St Joseph in the National Gallery’s collection. Newly recorded infrared reflectograms reveal underdrawing that straddles the gap between his disciplined Florentine training and the flowering lyrical undercurrent in his work that was stimulated so decisively by his visit to Venice in 1508. We also publish a series of replicas/copies of the composition, including the one in Brescia and a previously unknown one in a private collection, both probably made in his San Marco workshop. The issue also contains articles on Dutch seventeenth-century flower painting, Daubigny and Van Gogh. Consult at your art library or wait till the content is made available online. ITEM The latest volume of Studi Tizianeschi (no. IX) contains my review of Tom Nichols’ flawed but occasionally stimulating book Titian and the End of the Venetian Renaissance. But don’t get it for that — the issue contains Paul Joannides’ and Jane Turner’s long-awaited and magisterial examination of Titian’s and his workshop’s many versions of the quintessential Venus and Adonis composition, a material that would pose a heroic challenge to any Titian connoisseur. There are other interesting articles on Titian-related matters too, naturally. Again, check it out at your library or order here. ITEM a couple of my comics reviews have been published in Information (in Danish). 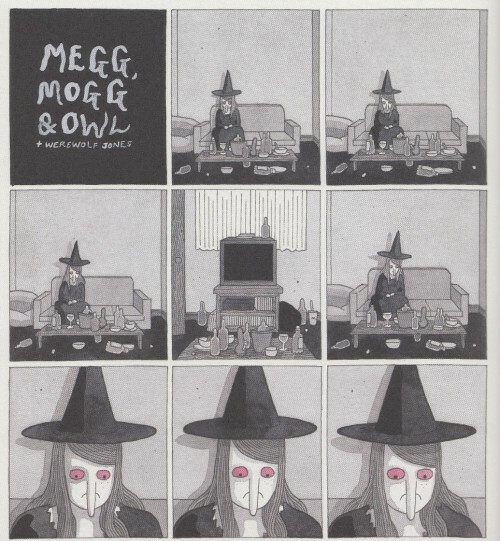 Firstly, it concerns the Danish omnibus-like edition of Simon Hanselman’s bleakly funny and deranged comics about Megg, Mogg and Owl (above). It predates last year’s Megg and Mogg in Amsterdam, but pretty much every strip he made prior to that is in it. Next up is Drømme i tynd luft (‘Dreams in Thin Air’), a comics documentary on the formation of the first Tibetan national football team told by the Danish idealist who helped it happen, Michael Magnus Nybrandt and illustrated by the talented Thomas Engelbrecht Mikkelsen. It’s a fascinating story, but the comic lacks dramatic and psychological interest, despite a few inspired passages. Anyway, even if you don’t read Danish, you may be able soon to see for yourself, as several international editions are in the works. ITEM Oh, and I’m back writing story notes in the Fantagraphics Carl Barks series, which is of course fantastic fun. In the latest book, I wrote about the so-called ‘Donald Duck Rants about Ants’ — a true horror comedy steeped in 1950s paranoia as only Barks can do it. But, you know, get it — and the series — for the comics.